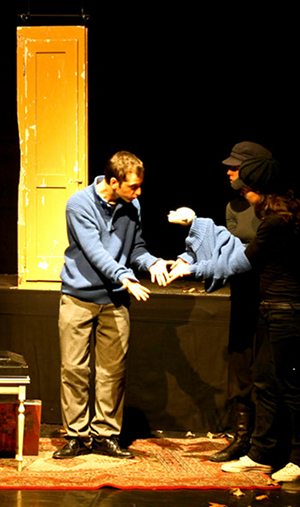 Puppetry is my passion and my profession. After 29 years of serious play with material things, I am still amazed by the power of animated objects to fascinate, amuse, provoke and perplex human beings and how a scrap of wood can make an audience gasp with a simple gesture. Visit the projects page for examples of my work as a visual theatre director, teacher and erstwhile performer or watch the video about the different ways I use puppets, objects and materials in performance. Meeting yourself. Scene from El Drama del Desencantado. I am currently on sabbatical from teaching. Follow this blog to receive updates straight to your inbox.